Here I am again. 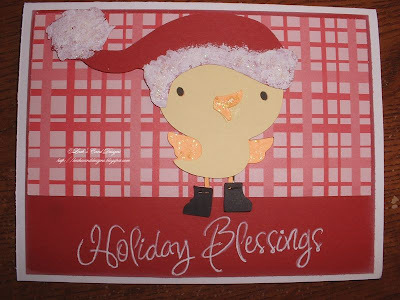 I have been so busy with designing and making cards I'm loving every minute. I really am and I'm so happy that I can finally get back into something I love to do. I've had family obligations that kept me away for a while, but now I'm right back at it. This is a cute little card that I made for a friend of mine. 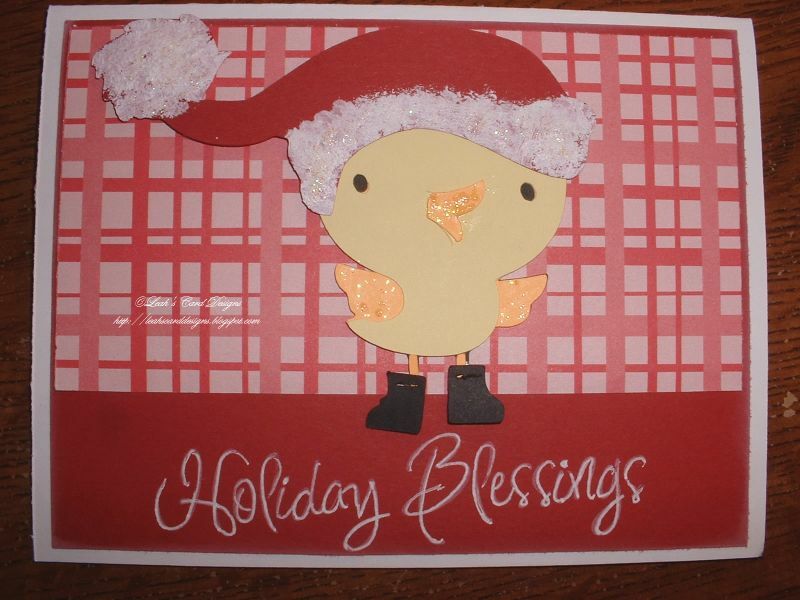 We call her "Duc" hence the little critter on the card. I just couldn't resist the adorable duck on Create A Critter Cartridge. I cut him at 3". I cut the hat at 1.75" through the Gypsy. I'm loving my Gypsy more and more each day. What are some fun things that you all do for Christmas??? I love to hear different traditions and things that others do. I enjoy the festivities of the holiday.